There are a lot of techniques out there for how to cook the perfect steak, from flipping it multiple times to applying a spice rub or dry brine to aging the beef. But it turns out that there's a super-easy way to make a great steak at home, and all you need is a good cast-iron skillet and some salt. Take a look at this technique from The New York Times. It's almost laughably simple, but it gets amazing results. The article by Julia Moskin provides more detailed instructions: Get a cut of steak that's one-inch thick. Half an hour before cooking, remove it from the refrigerator. Cold, chilly meat and a hot surface are a bad idea, mainly because it causes the meat to "water out," or lose its juices. 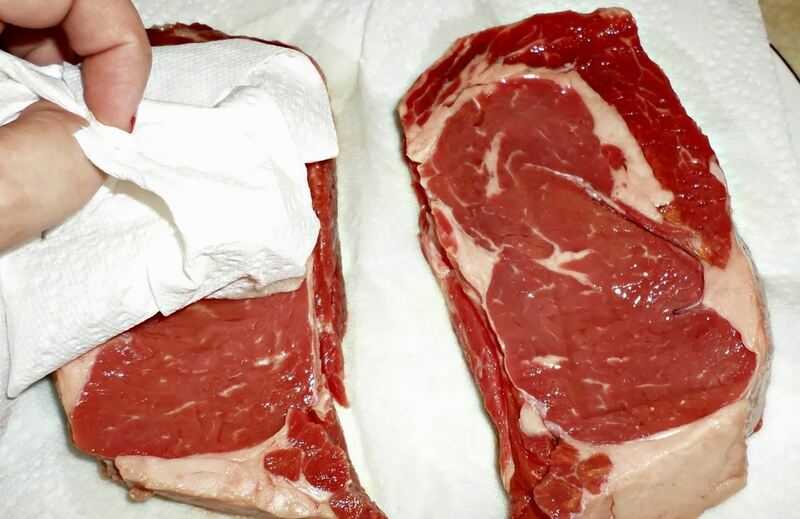 Pat it dry or let it drain on paper towels (flipping once) to remove surface moisture. Next, sprinkle a cast-iron skillet with a couple generous pinches of salt. I would recommend using kosher or any other type of coarse-grained, high-quality salt, but regular ol' table salt works fine, too. Heat the pan until it is smoking slightly. Then sear each side of the steak for one minute, until it gets that nice, browned crust and you can smell the Maillard reaction in action. Then use that multiple-flipping technique mentioned earlier and turn the steak on its other side every thirty seconds. This technique, it turns out, has an old and fine lineage. Craig Claiborne, legendary food writer and cookbook author, published a similar technique back in 1961 in The New York Times Cookbook, as readers of Moskin's article have pointed out. There's also a long tradition of salt-fried steak that has many variations. So why does this work to such tasty effect? There's no hard-and-fast answer out there. Salt is a desiccant, which is a fancy way of saying it has a drying effect. My theory is that the combination of placing a steak that has been blotted dry on a very hot surface that is dotted with salt increases the browning effect, which is why you get such a beautifully thick and flavorful crust with this method. 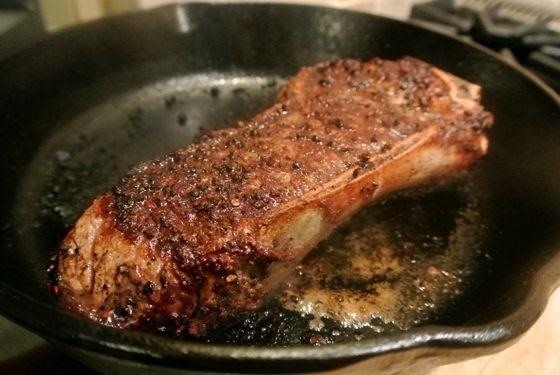 What's your favorite way to cook steak?